Green Tea on a Wintry Day Provides More Than Warmth! What’s more comforting than a cup of tea on a frosty day? Sure, it’s nice to enjoy a cup of freshly brewed coffee or steamy cocoa occasionally. There’s nothing wrong with that; anything’s fine in moderation! But some experience the guilt of loading on plenty 0f additional goodies like whipped cream and cookies when trying to maintain control during the holiday season too. A piping cup of green tea however provides so many healthy benefits, like great mental and physical health, you might offset your snack cravings. Green tea is steamed rather than fermented. What that means to you is that it maintains it’s potency properties to heal quickly. Green tea protects brain cells from deteriorating and has proven to even restore cells, lowering the risk of Alzheimer’s and other dementia challenges. It contains bioflavonoids which is a powerful immune system booster, reducing the risk of cancers and other infections. Scientists and doctors have tested it on those suffering from stomach, lung, breast, bladder, colon, liver, prostate, skin and intestinal cancers with great success. Green tea is a detoxifier. That means that energy producing nutrients are absorbed quickly and begin to burn calories without having to battle against other toxic chemicals first within the intestines or bloodstream. It will kill the unhealthy bacteria in the mouth and on your teeth and gums. The Japanese routinely consume green tea after dessert and have far fewer cavities than western cultures. Less bad bacteria = better health overall. Green tea can lower LDL (the bad) cholesterol in your bloodstream. And of course what is good for your heart and circulatory system is also beneficial for your brain. Green tea boosts memory retention and improves alertness. It stabilizes blood sugar. Therefore you won’t feel as hungry and it will assist with blood sugar challenges and diseases such as diabetes and hypoglycemia. 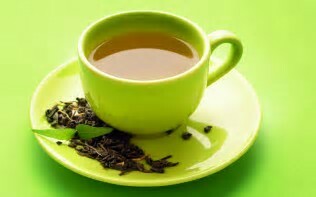 Green tea contains an element which has proven to be helpful in preventing blood clots. Therefore if your family history is prone to strokes, arterial sclerosis or deep vein thrombosis, ask your doctor if this would beneficial for you. Bonus: Drinking green tea stimulates your metabolism and burns about 100 calories daily. It transports the type of fat called triglycerides throughout your bloodstream which releases beneficial polyphenols, which in turn activate certain enzymes, burning fat. One necessary precaution, if your physician has cautioned you against imbibing in any form of caffeine, it is best to avoid all types, even those in tea, coffee (and colas, which one should avoid anyway) until the condition improves or science proves it’s not a safety issue. Isn’t God amazing? No wonder He placed Adam and Eve in a Garden! Some diet gurus might discount the benefits of green tea, but will quickly sell you a fad diet program or pill. Don’t be fooled. Listen to the Great Physician first. Are You Part Of God’s Amazing Patchwork Design? Once I watched a friend labor over a needlepoint project. From where I sat, it looked like a total mess. All those patchwork colors were joined in scrambled directions. What in the world was she working on? Was this her first attempt; was she over her head? Did she know what she was doing? Then she turned it over. On the other side lay beautiful crosses atop a hillside of colorful flowers. Who knew??? 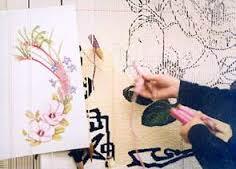 It was so lovely and intricate; revealing a life lesson to me to not judge a piece of work until it is finished! How very much like a needlepoint design, is God’s intricate work in us. Several years ago I worked for a Christian drug recovery organization. The women who arrived at the facility were messy, beaten down by life and shattered into pieces. Life’s choices hadn’t been good to them. Most had become drug addicts. Sometimes their addiction began as a cry for attention. For some, it was to cover painful emotional attachments to everyday family issues, boyfriend or peer pressure situations. Others to dull the pain of loneliness, self esteem issues or friends urging them to join into the “thrill” of drugs and alcoholism. Regretfully and unbelievably, several had begun their dangerous meth or drug habit merely to lose weight or worth. Now they’re addicted. What a half-truth Satan proclaims when he tells a young woman that she will gain beauty, popularity or lose weight through drugs. Weight loss? Of course – through malnutrition and death! The half-truths of this world mislead many, just as it has since Adam and Eve. (“Surely you will not die . . . ” Genesis 3:4) And any drug which artificially jumpstarts one’s metabolism will hang on to every pound after the “goal” is reached as an act of survival. Losing weight through manipulating drugs WILL. NOT. WORK! Please do not even think of attempting a drug (diet pills) to lose weight if you are a Christian. You are God’s holy temple and drugs change your biochemistry and brain function! Today many of these lovely women (but sadly not all) have conquered the satanic bonds that anchored them to this world’s view of beauty. Those who placed their trust in Christ are now firmly anchored to His Truth of Salvation instead of drugs. They are healthier and happier as Christ demonstrates each one was worth the sacrifice He endured for them. They are now a child of the One True King! When their minds truly believed that, they began to act like the royalty they are. A lured idol has a powerful tug of the heart. But the Word of God is stronger! I pray that the intricately woven Word of God will be able to assist you in resisting the ever present, powerful enticement towards a degrading lifestyle of weight loss pills and other fallacies. If our life is God’s tapestry, it is unclear even to us how His work will turn out until our lives are completed. God’s prick of the needle can be painful as He works on us. And sometimes God needs to modify His creation by reworking the pattern if we go astray. (Genesis 50:20) His Patience and His Timing is perfect. He will never put us aside and forget about us. Should We Expect Rewards for Bad Behavior? I haven’t posted about our pup, “Mr. No-no” in a while. How quickly times flies. He’s 17 months now and still mischievous. Honestly though, he’s so gosh-darn-fluffy-cute & affectionate, I can’t stay angry at him long. Unfortunately I must be more stubborn than the pooch or I’d have a very spoiled dog and no one likes that. He gets away with some bad behavior occasionally, but mostly he’s a joy to be around, sweet but challenging. In spite of all the toys he has to play with, we’ll still catch him chewing on the edge of our carpet. We know he realizes right from wrong because as soon as I gasp at what he’s doing, he’ll run into his crate and give himself a “time-out” and look absolutely sorrowful for what he’s done. Or is perhaps the real reason he’s miserable, is because he got caught?! How like unruly pooches we are too. Many of my patients were extremely sorry after consuming all those chemically-based, fattening foods which evolved into heart disease or diabetes. But were they really (???) . . . or was it the fact that their behavior caught up with them and they had to face the consequences of their actions which caused the sorrow? Everyone realizes that choosing unhealthy foods MOST of the time isn’t good for us – that’s a “duh” statement. But we do it anyway, don’t we? It’s the main reason I enjoy counseling because getting to the root of why we self-destruct with foods must come first. Recently we were visiting at someone’s house and our dog kept jumping up, demanding a treat. I asked the friend not to give it to him unless he sat first. 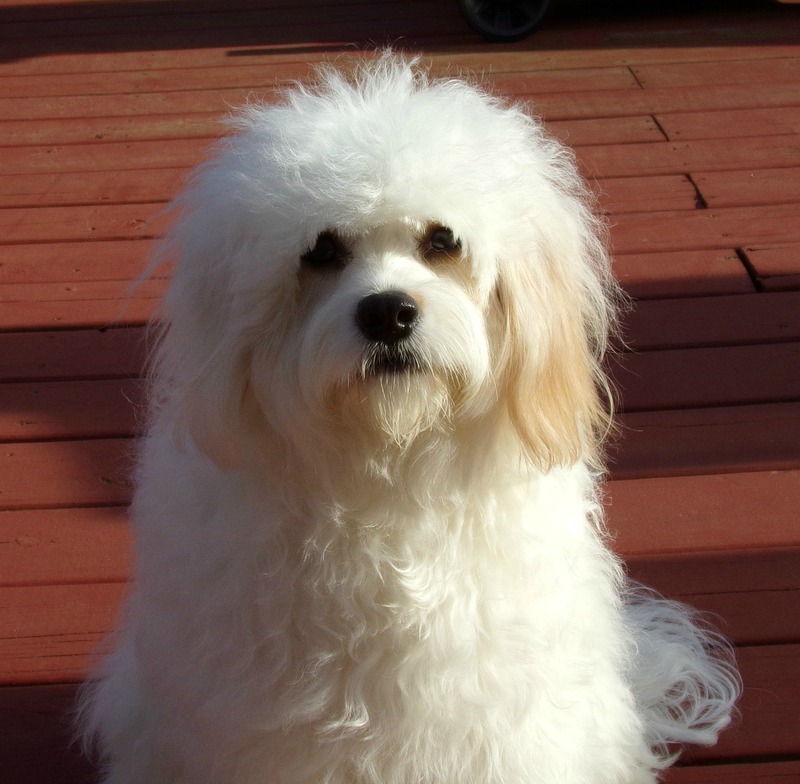 The man laughed, shook his head and stated, “Oh that’s okay, he’s just a puppy.” and promptly gave Mr. “No-no” a treat. So what did our dog learn? That jumping is acceptable and you’ll be rewarded if you keep it up. Sure consuming BBQ ribs, fries, milkshakes, steaks, etc. is permissible. Simply eat less and balance nutrients out. Personally I avoid most fattening foods because fat actually coats the tongue which prevents us from really tasting our food. Therefore we eat more, trying to derive more flavor. That first bite of ice cream or donut might taste fantastic but after a while, we don’t reap as much enjoyment because our taste buds are covered. 80% of the time choose healthy nutritious foods. What God created in Genesis 1:29 and 9:3, He preferred us to eat. He provided us with excellent and varied choices for our best metabolic function. We should always attempt to honor God with our lifestyle and diet. If we abuse our bodies, remember it was our choice. Discipline your body! Don’t create an idol out of food, because actions always have consequences. Before You Take Drastic Measures to Lose Weight . . . It is always wise to determine your personality, lifestyle and relationship to food before jumping into any “diet” plan. It could influence whether you succeed or fail. What I enjoy about counseling is that every patient is different, keeping me on my toes. But all new sessions begin with the Guess Why I Can’t Lose game. Some tell me what I want to hear while others deny they even have a problem. “I don’t have a problem, my husband has the problem! He’s pushing me to lose!” But I can’t assist anyone until they understand there’s a crisis. They’re in denial. I can’t fix what someone won’t recognize as broken. The first step in overcoming is awareness. Or we play their hide and seek game: “Unless you discover my hidden insecure pysche, I’m terrific!” Having perfectionist tendencies tends to feel like admitting any mistake is a chink in their armor. Believe me I won’t think less of them and success will come faster. In counseling, the more we discovered together, the more the patient recognized the challenge to address. The saddest scenario however is when someone desperately searches for drastic methods to lose weight, without knowing how their lifestyle affects their eating habits. Such was the case with “Sheila.” who underwent stomach reduction surgery in the mid ’90s. This surgery was considered permanent then. Why a doctor would have endorsed an operation like that for someone who lived for food is beyond me. The doctors I worked for would never have approved such surgery unless it was a lifesaving procedure. Sheila loved everything about food! She enjoyed the taste, texture, cooking, baking, dining with friends, exploring new restaurants and entertaining in her luxurious home. Life was one big party! As a teenager she was a healthy 125 pounds but over the years she lost control. She believed all her problems would be over if she only had the surgery. Then she’d return to her normal weight and carefree lifestyle once again. What Sheila didn’t understand was that eating normally again as she knew it, would never happen. For someone whose world revolved around food this was a living nightmare she’d never wake up from. After the surgery, she could only consume 2 ounces of food at any one time while her friends dined on thick steaks, French fries, buttery rolls plus dessert. She became jealous, angry at having lost her eating pleasures. Why she hadn’t realized she’d have to drastically reduce her portion sizes was puzzling. Sheila never acknowledged if she hadn’t understood the consequences or if the doctor failed to emphasis this essential restriction. She only knew that when others enjoyed Thanksgiving with all the fixings, she ate two ounces of pretty much nothing. She suffered from depression, malnutrition, anemia and anger issues, despising herself for her impulsive action. There’s a safer way. 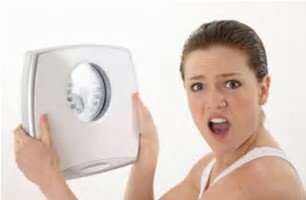 Talk to a qualified nutritional counselor first before taking drastic steps or attempting crazy diet plans. It’s the same adage as “when all else fails, pray.” Actually we should go to God first. Not as an after-thought. God wants you healthy and so do we! If your physician has prescribed an ‘anti-inflammatory diet’ would you know what to eat? Probably not. It’s one of those “dog year” questions (relatable in practical terms.) 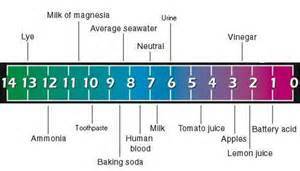 It has to do with the pH scale’s acidic/alkaline relationship. The more acidic one is, the more prone to illness one becomes. Imagine the pH scale being in a straight line from 1-14. 7 is neutral, (like pure water.) 1 is acidic, (like battery acid) and anything above is considered alkaline. Balance is what it’s all about. Try to maintain a pH around 7.3 – 7.4. The anti-inflammatory diet isn’t a “diet” as much as a lifestyle choice. One thing is certain however, not addressing your health concerns will only create larger ones down the road! Chronic inflammation is dangerous! It is not a “little” problem if you ignore will simply go away. Chronic inflammation can eventually cause intense health issues including heart disease, IBS, colitis, arthritis, dementia, kidney disease and cancers. What causes inflammation? Stress is a major contributor and in today’s world who isn’t under stress? Find ways to relieve daily stress through exercise, relaxing bubble baths, soft music, fresh air, massages or anything that calms you besides food. A healthy anti-inflammatory diet is on the alkaline side of the pH scale. It primarily consists of: fruits, vegetables, nuts, seeds, herbs and whole grains such as oats, quinoa, brown rice and buckwheat (kashi). In truth, if you eat as God instructed Adam in the Garden of Eden, you’ll add a lot more life in your years. Every meat is acidic, especially the processed meats with dyes and chemicals such as cold cuts, bacon or hot dogs, so consume lean protein like fish, chicken, sirloin and pork loin. Sugar and artificial chemically treated foods are highly acidic. Unfortunately so are the nightshade plants like tomatoes, potatoes, peppers and eggplant. This doesn’t mean you must give them up entirely, but only consume occasionally. Balance is the key here. Wheat, unfortunately, is on the acidic side of the scale. However whole wheat contains a great deal of fiber, so only avoid enriched breads and balance whole wheat products with more fruits and vegetables. Try to consume fiber-rich vegetables like sweet potatoes, corn, squash, alfalfa, beans and lentils. The fiber helps remove toxins from your system and avoids damaging inflammation. Increase water consumption also. One characteristic of the anti-inflammatory diet is the recommended inclusion of omega-rich fatty acids, especially omega 3’s. These consists of milled flaxseed, walnuts, olive oil (best used cold), avocados, good fatty fish like salmon, tuna and sardines. Avoid salt and choose to flavor your foods with healthy herbs. Garlic, turmeric, cinnamon and capsaicin are especially helpful with their anti-inflammatory properties! And don’t worry about not enjoying any treats either. A good dark chocolate contains a great deal of antioxidants as does a glass of red wine. Do you see the pattern here? You can enjoy so much more than you thought you could! Simply eat healthier and consume more whole foods to rid yourself of the artificially flavored, chemically processed boxed foods you might pick up at the supermarket for “convenience.” There is nothing convenient about pain and inflammation! Strive for a happier, healthier lifestyle. Glancing through it, I read how it recommended knowing our blood pressure, glucose and cholesterol level numbers. It wasn’t long before I understood what hubby meant. It never once mentioned what those numbers were, the standard to which we should compare ourselves. In other words, my blood pressure could be 230/150, my glucose 65 and my cholesterol 360 and it wouldn’t mean a thing! I wouldn’t know if my stats were low, balanced or dangerously high. Even if I “know my numbers” it wouldn’t mean squat unless I knew what it meant to me in dog years? (We know if dogs are 12, they are actually 7x’s that in human years. Now we can relate to why he’s sore after climbing stairs.) How in the world could we possibly “know” our numbers when it never provided the standard in which we should compare ourselves with? So in case you happened to read this same article, here’s a quick overview. These are physiological standards which we should aspire to in order to remain the healthiest we can be. Our blood pressure should consistently be within the 120 systolic and 80 diastolic range under normal circumstances. That means in a non-stressed atmosphere. Like not being chased by a rabid animal or being in a job you don’t enjoy. By constantly being provoked, the heart remains under constant stress, increasing blood pressure. Therefore find ways to distress with soft music, bubble baths, exercise, fresh air . . .
Our blood glucose should remain between 90-120 before meals. Glucose is brain/body fuel. Consuming well-balanced, fibrous mini-meals throughout the day will keep our metabolic engine running efficiently. Skipping meals will make us susceptible to bingeing for quick energy and the fastest energy is sugar! Sugar enters our system within 15 minutes but burns up very quickly, dropping insulin levels. We then become extremely hungry and sugar cravings begin again. Cholesterol is more complex. 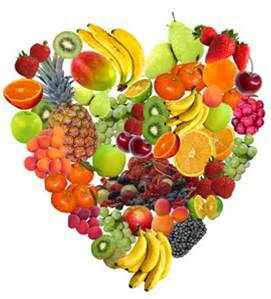 There is “helpful” cholesterol (HDL) which protects the heart and transports bad cholesterol out of the body. HDL should remain above 45 mg/dl. (Milligrams per Deciliter.) LDL, “lousy” cholesterol, creates plaque,clogging arteries. LDL should remain lower than 100 mg/dl. Beneficial fiber (with water) clears our arteries like Roto Rooter. Stay away from high protein diets which contain a higher cholesterol rate. Also stay away from sugary donuts and processed desserts which raise triglycerides which should remain lower than 150 mg/dl. If we eat unhealthily because we demand instant gratification, how could that ever please God? As Christians, God provides a Biblical standard which we judge ourselves against. The Bible contains Absolutes, to which we should aspire: “Be holy for I am Holy” (1 Peter 1:16.) If we didn’t, we’d have no moral compass and would reap the unhealthy lifestyle which we ourselves sowed. To paraphrase Judges 21:25, “everyone would eat what was right in his own eyes,” regardless of consequences.